Mohun Bagan suffered a 2-5 defeat against Maziya Sports and Recreation Club of Maldives. 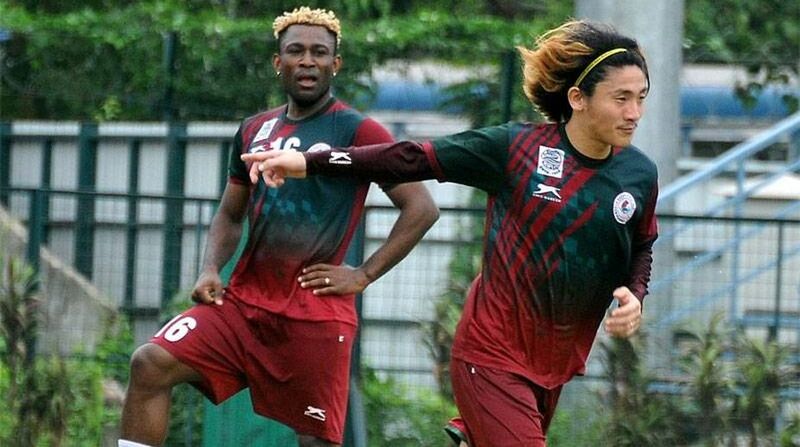 After narrowly missing out on the I- League title recently, Mohun Bagan now find themselves on the verge of elimination in the AFC Cup following a shock 2-5 defeat against Maziya Sports and Recreation Club of Maldives here on Wednesday. The crowd at Male's National Stadium were treated to a spectacle in the Group E match as Maziya raced opened up early lead through goals from Yasfaadh Habeeb (13th minute) and Mohamed Umair (27th minute). When Alexsander Rakic (45th) added a third from a narrow-angle just before the half-time, the game appeared over as a contest. Straight after the restart, Mohun Bagan, who needed a win to stay afloat in the tournament, pulled a goal back through Kingshuk Debnath (48th minute). However, they quickly fell further behind as Abdulla Asadhulla struck from the penalty spot before Rakic (60th) added a second. Jeje Lalpekhlua added a consolation from the spot in the 78th minute, but could not prevent Maziya earning a win which puts them in a commanding position to claim a top two spot in Group E.
Mohun Bagan, who missed out on I-League title by a whisker to Aizawl FC, now have just three points from four matches. They have two games in hand — against Bengaluru FC at home on May 17 and against Abahani Limited in Dhaka on May 31. Maziya, on the other hand, are on joint top with Benagluru FC with nine points from four matches.